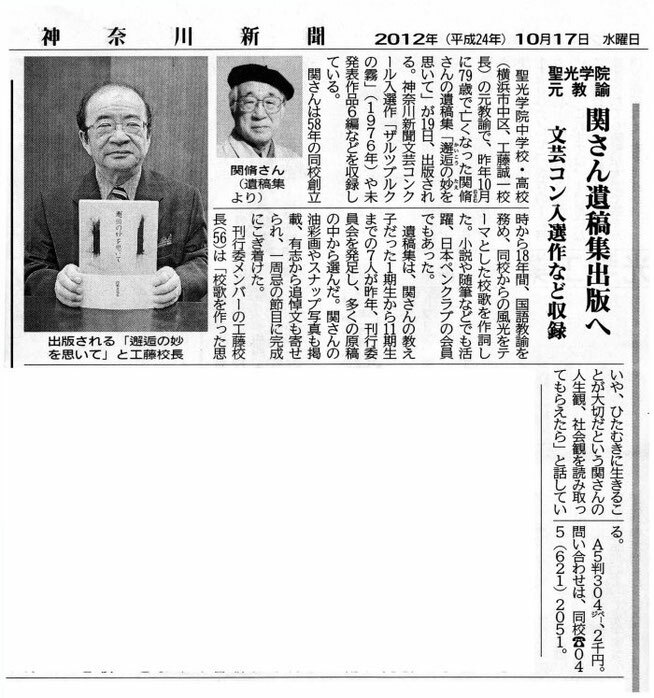 This is the news of Mr. Seki Osamu’s death. 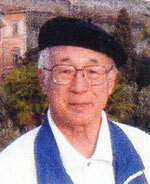 He had been Yoshy’s great teacher of Japanese culture and the language of Japanese. When M-PEC was established 5 years ago, he was one of the advisers of M-PEC. Letting me again introduce his C.V. (curriculum vitae), I am recollecting his memories. According to his wife’s letter to me, he was repeatedly telling her “I was happy that I could be one of his friends as an owner of LL English School” furthermore, “I’m writing to Mr. Endo on the way to the end. …” – Probably the letter must be “Special Message” which might have been put on here. I would like to express my deepest condolences on the passing away of him.